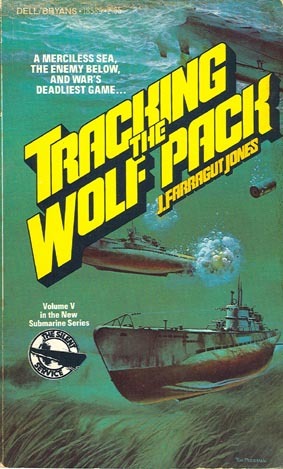 “TRACKING The WOLF PACK” By J. Farragut Jones. (Fiction) Fifth book in this series “The Silent Service.” The North Atlantic… Brutal, unrelenting in its ferocity. But now––as lethal wolf packs of German U-boats ravage the Allied convoys that are Britain’s key to survival––it is war’s cruelest battle arena. Brave, vengeful men…U-112 Kaptain Joachim Kruger, whose daring exploits have made him “ace of aces: among U-boat commanders… Royal Navy Commander William Mulford, whose insatiable thirst for revenge propels him wherever danger lies… These men, their crews, and––waiting on the shore––their women. Victory at any cost in men and ships, by any means fair or foul… to conquer a merciless sea and destroy the ruthless enemy it hides. 1981 first edition Paperback. 319 pages, no photos, maps or index. 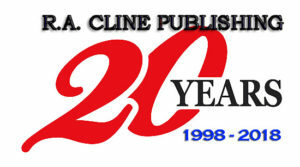 Never published in a hardback book.